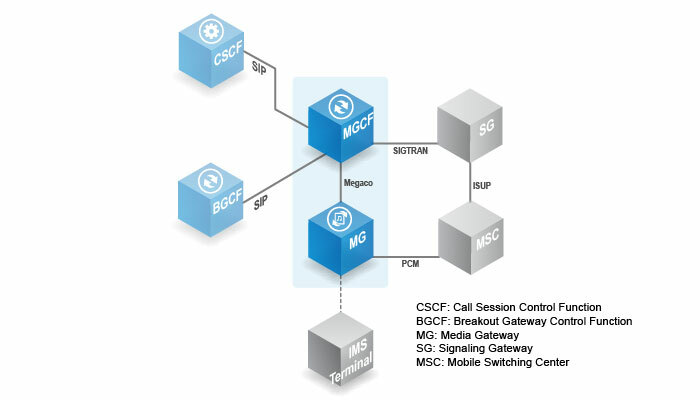 Media Gateway asptrol Function (MGCF) acts as a gateway to the PSTN/CS network over the IMS network. It carries out aspversion/mapping between the call asptrol protocol ISUP in the PSTN/CS network and call asptrol protocol SIP in the IMS network. It also asptrols MG resources using Megaco/H.248, if necessary.